Mid-sized freight forwarders are under the gun. They must broaden their service portfolios to meet the increasingly global service needs of customers. Affordable, state-of-the-art IT makes this possible. Thanks to its state-of-the-art information management system, Global Link can do exactly that. The demands of this business environment are changing the face of freight forwarding today. Companies shift sourcing and manufacturing locations around the world in their continual search for better or less expensive raw materials, components, labor and production capacity. At the same time that businesses are expanding their global supply chains, they are reducing inventory – substantially wherever possible. And they are increasing the velocity of the inventory that they do hold to accelerate the cash-to-cash cycle. “The globalization of business introduces its own risks and uncertainties,” notes Yossi Sheffi, professor of systems engineering at the Sloan School of Management at the Massachusetts Institute of Technology in an interview for Strategy + Business magazine “First of all, lead times grow. So we have to forecast further in advance. And one of the basic truths about forecasting is, the longer the period you have to forecast, the less certain you are about the outcomes. With more players on the supply chain team spread out across the world, communication requirements become exponentially more complicated. This can create challenges that exceed traditional homegrown information processing and telecommunications infrastructure. “Supply chain executives within global organizations value certainty, predictability and reliability over cost,” says Brooks Bentz, co-manager of Accenture’s Transportation Skills Group within the Supply Chain Management Practice. “What they really mean is that they want high reliability at the lowest possible cost. No supply chain executive wants to tell the CEO that the reason we had stock outs before Christmas is because we saved a nickel a mile on transportation. This supply chain uncertainty presents a significant opportunity for freight forwarders. Bentz elaborates: “If I’m a category manager for shoes at a major retailer, and I can see the inventory in my pipeline – not just what’s in the distribution center, but what’s in transit, at port, on a vessel, with the consolidator in Asia, on the shipping dock at the manufacturer and so on – I can adjust my pipeline accordingly. So say I have a trailer load of patent leather pumps going to New York, but I see that the shoes are selling well in Seattle and I’ll soon be out of stock. I want to be able to strip that container when it lands at Long Beach and send half those shoes to Seattle and the other half to New York. Supply chain visibility lets me do this. “The other thing visibility does,” Bentz continues, “is enable you to look at the events at the various links and nodes in the supply chain, and set performance standards all the way from point of origin to destination. You can then measure actual performance against those standards to give you reliable statistics and show you where bottlenecks exist. Claude Germain, chief operating officer of Schenker Canada Ltd., agrees that managing supply chain unpredictability is critical for logistics services providers. “We have to engage in managing our clients’ working capital more than ever,” says Germain. Schenker of Canada is an operating division of Schenker AG, a global 3PL. What do these market dynamics mean for freight forwarders? In the simplest terms, more business if the forwarder can manage the predictability challenges of global freight. Outsourcing of supply chain activities continues to grow. The U.S. 3PL and contract logistics market grew from an estimated US$31 billion in 1996 to US $85 billion in 2004, reports Armstrong & Associates, a research firm that tracks the 3PL sector. According to the 2005 Third-Party Logistics annual study (3) conducted by Georgia Tech, between 1996 through 2001, the percentage of 3PL users remained relatively constant among North American respondents (between 68 and 73 percent). In the years 2002 to 2005, however, the percentage of North American users grew to 80 percent. In Western Europe that number is 77 percent; Asia-Pacific is 83 percent; and Latin America is 67 percent. On a more granular level, companies are looking to their logistics service providers for an increasingly broad array of services. “More customers are recognizing that to realize the full value of the potential trade-offs from outsourcing, they need to broaden their span – from purchasing many piecemeal transportation and warehousing services to fewer, bigger contracts with much wider scope,” says IBM Global Services in a recent white paper on the 3PL industry (4). Companies want access to an extended logistics network with visibility from the offshore manufacturer to final consumption. But they don’t necessarily want the big company bureaucracy that traditionally provided these resources. In response, logistics providers have been evolving to offer greater scope and more complex solutions. For service providers, adding capabilities up the value chain into planning and control activities can increase customer lock-in and drive higher margins. These capabilities include more sophisticated technology tools. In addition, consolidation in the industry means mid-sized freight forwarders are now competing with mega-organizations that are putting big money into their IT resources. In any supply chain, the physical movement of freight is only half the equation. The other half is information. As Martin of Global Link notes, companies want to know the exact status of their supply chain at any given moment. They want service providers that can offer complete visibility from beginning to the end of the transaction. Such capabilities are tremendously valuable and can be a deciding factor in the selection of a global air-expedited service provider by a shipper (6). This telephone-tag system is no longer acceptable to shippers. Nor is non real-time information. “It’s no longer sufficient to get a notice three days after a ship sails that your container missed the boat,” Martin stresses. Forwarders today are not equal in the technology resources they employ. The slow adoption of technology by some forwarders, particularly by some small and medium-sized players, has put those businesses at higher competitive risk. Technology, however, levels the playing field. A good technology and communications platform enables small players to provide levels of services equal to that provided by the large players (9). “Data about the shipment is just as important as the shipment itself,” says Andy Bordash, head of logistics management and operations for Bayer Health Care’s Professional Testing Systems Division. Forwarders that don’t have such technology, including exception alert capabilities, are at a significant competitive disadvantage (10). Additionally, forwarders must be able to deliver not just data to their customers but also readily usable information. “Shippers want information delivered to them in a way that’s tailored exactly to their needs,” says Marcia Dorer, chief operating officer at Silver Bullet Technologies. The freight forwarder must be able to supply this information to each of the customer stakeholders in the format desired. At every level, information concerning the location and status of the freight is crucial. These customized information requirements are commonly met with painstakingly prepared Excel spreadsheets for each of these stakeholders, detailing the data they needed. “But creating these spreadsheets manually is time-consuming and costly,” Dorer notes. “One forwarder, for instance, has 50 operators, each of whom spends two hours a day developing spreadsheet reports for clients. Until now, however, the technology to accomplish these tasks was too costly for the small to medium-sized freight forwarders. Today, that is no longer the case. Silver Bullet Technologies has developed a software solution targeted at the growing mid-sized freight forwarder. “Our solution is tremendously cost-effective,” says Dorer. “In the past, an equivalent system would cost 10 times the price of ours. This creates opportunity for the small to medium-sized forwarders to take share from the global logistics giants. Their IT deployments are more manageable and less complex so they can embrace transformations with less risk than their larger competitors. Our solution is fully scalable to handle any growth – anywhere from $20 million to $500 million in annual sales. Ultimately, our solutions are always evaluated in terms of economic benefits. We help clients do this through an independent analysis of ROI and have routinely found that these systems pay for themselves in nine months or less. “Our research has shown an urgent need for software of this kind in the freight forwarder market,” Dorer notes. “The front office hand-to-hand combat that wins logistics business is intense. We help forwarders return sanity to their workplace and improve client retention. Freight forwarders work on slim margins, so they need to be able to manage their costs intelligently – to see whether they are losing money on a particular lane and to act quickly to remedy the situation. Historically, forwarders lacked the real-time financial control systems to do this. They may have learned of losses weeks after the fact. By integrating the Silver Bullet solution with financial control systems from Microsoft, users gain this capability. Reliability also was a key concern. “I don’t like web-based solutions,” says Stephen Dedola, executive vice president, Dedola International Inc., a freight forwarder in the Los Angeles area and Silver Bullet customer. “They are unreliable. The Internet is unreliable. It’s slow and you don’t have the functionality of an installed solution. “It’s one thing if all you want to do is go online a couple of times a day and look up stuff,” Dedola observes. “But if you’re online all day long and it’s your only source for data and you lose it all and have to input everything all over again, well … I just wouldn’t do that to my people. Not for a mission-critical system. What does the Silver Bullet solution do for freight forwarders? Global Link and Dedola International offer a first-hand view of the benefits gained from this system. Global Link implemented a solution in 2004 that combined the Great Plains ERP system from Microsoft Business Solutions and the SB Freight suite from Silver Bullet Technologies. The Silver Bullet package replaced a legacy in-house system. “We wanted to be able to manage per diem charges, storage, etc., and there was no way to do that with the old system,” says Martin. “Silver Bullet monitors expenses in real time, so we can see any erosion we may have had on a movement – we can track anything that eats away at our profit in real time. We can find out immediately if there’s a problem with a trade lane or an account. We can look at why we are incurring additional storage or drayage charges. We can take steps to fix the situation as it is happening – not three months later. The Silver Bullet solution has made a big difference to customers of Global Link in terms of the level of service the forwarder can provide. It has also helped the company’s profitability. “We can see volumes in trade lanes, volumes into cities and so on,” Martin says. “This information lets our team make better decisions in managing the carriers we’re using. We also can help the liner companies manage their equipment better. Say we have 500 containers on a Maersk ship coming from Shanghai into Long Beach. We receive an automatic transmission from the freight forwarder in China telling us the containers are under way. We contact Maersk here to find out whether it has enough chassis at the Long Beach terminal to handle them. This information helps us create a kind of safety net to make sure our customers are taken care of. It all gets back to the idea of us providing world-class service to our customers. 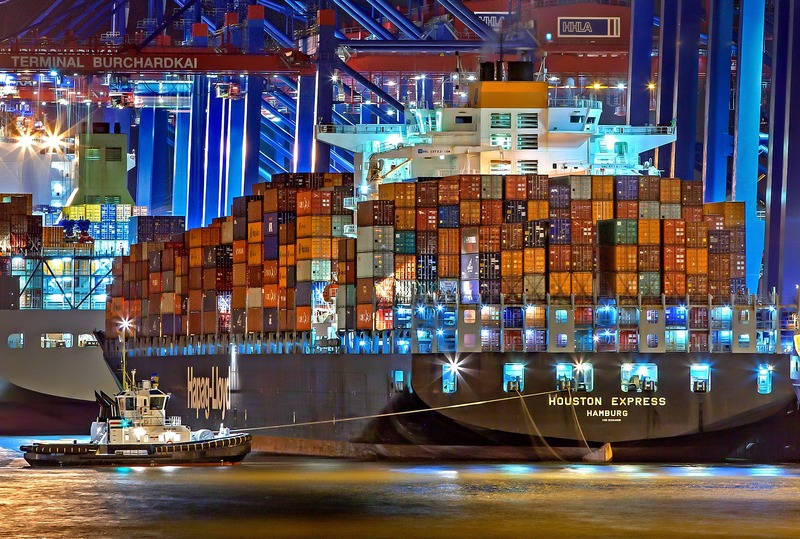 Global Link uses the system to track profitability every day on every container. “Each account manager verifies the ocean freight charges with the steamship line and against the agent invoice,” Martin explains. “That information is entered into the system along with any other shipment costs. We can then develop a P&L for every shipment. Our trade group reviews the information, checks whether our steamship line contract rate was applied and verifies that we charged the customer the correct amount based on our contract. Enabling Global Link to look at sales volume by sales person. “If an individual’s performance drops off, we see that immediately and can take action to remedy the situation,” Martin notes. Running reports by steamship line and by lane. “This gives us leverage in our carrier contract negotiations,” Martin says. Pulling un-posted transaction reports to ensure that customer invoicing remains current. Preparing a “loss file” report that shows any account sustaining losses. Silver Bullet also provides real-time business alerts. “These alerts cover a lot of territory,” Martin reports. “For example, the system notifies Global Link that a container has arrived at port but has no delivery order or no out-gate event. The system in effect is saying, ‘Hello, you haven’t done something with me (a container). It’s time to check on me.’ Or, the system notifies us if we haven’t received inbound shipment documentation from the agent in Asia. It’s critical that we receive these documents within seven days of sailing so we have time to make arrangements on this end for handling the cargo. As a result of this IT overhaul, Global Link has increased productivity 20 percent, improved its customer service and saved an estimated US$1 million. Global Link eliminated the immediate need to hire three full-time employees, a savings of US$90,000. In addition, with realtime visibility into the entire shipping process, the company can improve shipment routing and pricing from the very start. This real-time visibility has saved Global Link an estimated US$500,000 just in the first year. Global Link now has more efficient billing processes and can collect payment from customers in a more timely fashion, thereby enabling it to pay down its own debts faster. Clark Christensen, CFO at Global Link, estimates that the company has approximately US$1 million to US$1.5 million in additional available funds each year – funds that can be applied directly to growing the business. In addition, because Global Link can now provide customers with improved reports and electronic data, the company expects to see an increase in sales that will bring significant additional profits. And finally, the company is now confident that it has a scalable solution that can accommodate any future business growth. “Our reason for existing is to deal with the issues and problems that arise as a matter of course in global trade,” says Dedola of Dedola International. “If there were no problems, if freight flowed easily and freely, companies would manage it themselves. But in our business, the physics concept that says any object in motion is at risk couldn’t be truer. In fact, the only thing you can rely on is the certainty that some shipments will have problems, and those will be the most important shipments, of course. Transparency is key. Customers want to know more and more about their shipments. “It doesn’t matter how technologically sophisticated they are, they all want visibility,” the EVP observes. “So that’s a challenge. From an internal perspective, Dedola International is transitioning from a small to a mid-sized freight forwarder. “It’s very important to manage this transition efficiently or you collapse under your own weight,” Dedola observes. “We are becoming a more finance-based company, with a more structured technical point of view vs. a small business that does a lot of things from the gut. Silver Bullet provides good reporting tools and ties in very well with Great Plains accounting software. The fact that Silver Bullet is so integrated into Great Plains enables Dedola International to pull information out of the system quickly. “I don’t have to wait until I get an end-of-the-month report to know how I’m doing,” Dedola says. Shippers will want to off-load more and more of their logistics activities onto third parties. The demand for bundles of value added supply chain services will continue to grow. “The big companies want us to provide a bundled end-to-end value chain solution,” Ward notes. The big integrators like DHL, UPS and FedEx are scrambling to realize this business model, often buying up smaller firms that complement their portfolio. The mid-sized forwarder, as well as its customers, must develop new skills for managing the supply chain. State-of-the-art business process software can enable these new skills, helping organizations move up the learning curve of managing global supply chains. They eliminate or curtail the risk of stock outs, ensure production continuity and reduce the excessive working capital required to support the bloated inventories endemic in old-style “blind” supply chains. 1. Lisa Harrington, “Speeding Global Shipments,” Inbound Logistics November 2004. 3. C. John Langley, Jr., Ph.D., Erik van Dort, Alec Ang, and Scott R. Sykes, 2005 Third-Party Logistics: Results and Findings of the 10th Annual Study; available from http://www.ca.capgemini.com/DownloadLibrary/requestfile.asp?ID=482. 4. IBM Global Services, Building Value in Logistics Outsourcing: The Future of the Logistics Provider Industry; available from http://www-1.ibm.com/services/us/index.wss/ibvstudy/imc/a1023466?cntxt=a1000068.